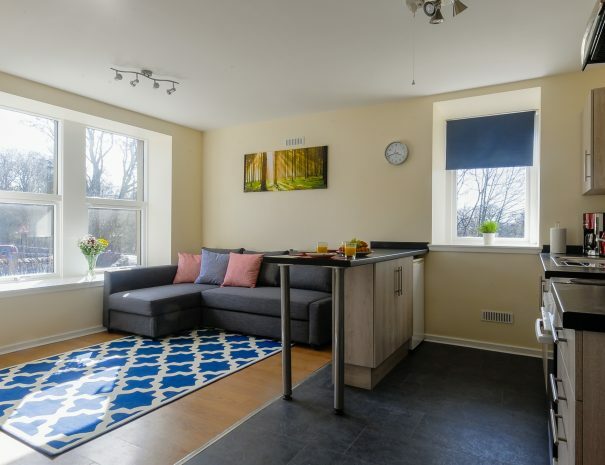 This apartment is situated in the heart of the Highlands, below our highest mountain Ben Nevis. This apartment has a rural location, but is 10 minutes drive away from the town centre. 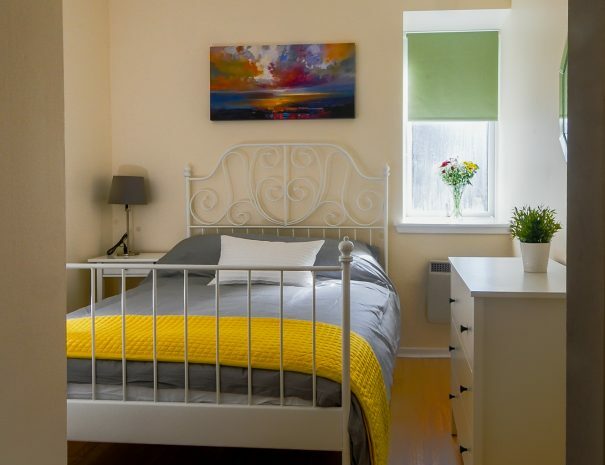 This apartment is ideally suited for any visitor to the area, whether you are seeking a quiet highland retreat or looking for adventure in the mountains. As part of the Outdoor Capital of the UK, Lochaber, there is a huge variety of activities for all ages including, Climbing, Walking, Skiing, Snowboarding, Fishing, Mountain Biking, Sailing, Paddle Boarding, Canoeing, Kayaking and much more! It is perfectly located for touring the Highlands, visiting Skye, Glencoe, you might even catch a glimpse of Nessie at Loch Ness, or take in the stunning West Highland Steam Train, which is a must for any Harry Potter fans! The apartment has a shared access and is on one floor. The living room has a sofa bed. There is an HD TV with access to Freeview channels. There's free, unlimited WiFi. We do ask that you let us know beforehand if you require to use the sofa bed. There is a £50 per night fee. The kitchen is fully equipped with kettle, coffee machine, toaster, oven, hob, microwave, dishwasher, fridge/freezer, and a washing machine. There is a high table available with two chairs. All kitchen linen is provided. We provide a starter pack containing tea, coffee, sugar and milk to allow you to get comfortable and relax straight away. The bathroom has a shower, wash hand basin, and a toilet. 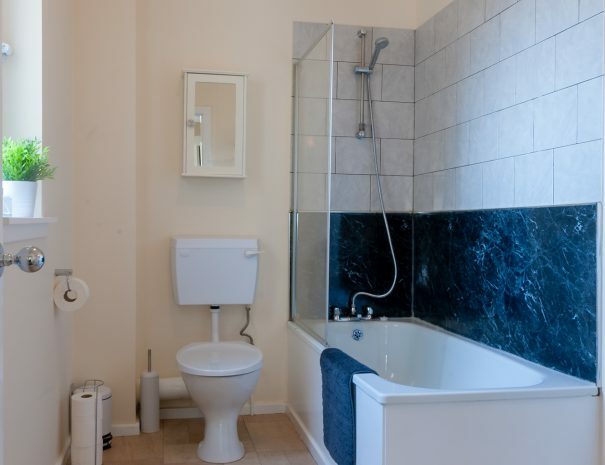 All bathroom linen, as well as hand soap and toilet rolls are provided. The bedroom includes a double bed, one bedside table with a lamp, a built-in wardrobe, and a chest of drawers. All bed linen is provided. Overall, a good size modern and stylish apartment in a highly convenient location. Plus, we’re pet friendly! We do ask that you let us know beforehand if you're bringing your best friend. There is a £20 per pet per stay fee. Torlundy Farmhouse is a ground floor apartment and has its own private secure entrance with no fuss key-safe. Enjoy a great nights sleep in a top quality double bed. Torlundy Farmhouse has a bath with a shower. 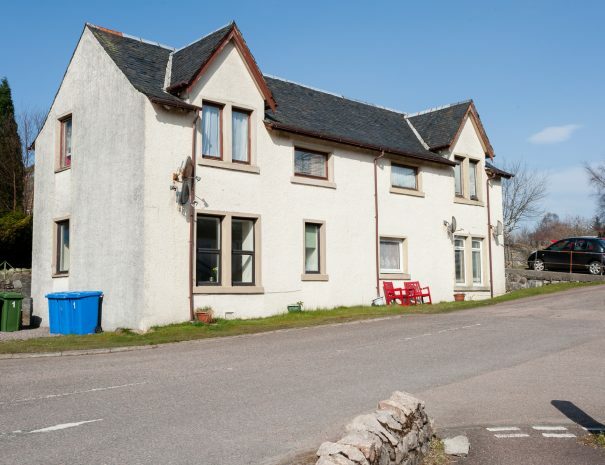 Torlundy Farmhouse is a short drive to Nevis Range, Aonach Mor. A popular destination for sport lovers. Ready to book Ben Nevis View? Here are our guideline prices for rental of Ben Nevis View. When booking, please keep in mind there is a minimum stay of 2 nights in winter and 3 nights in spring, summer and autumn.